The dark- or should that be ginger?- horse of now defunct girl group Girls Aloud finally peaks her head above the musical canopy today with the premier of new single Beat of my Drum. But whereas her fellow band mates have failed to set the music world alight with their endeavors how can the member of the group with arguably the weakest voice be able to buck that trend?By being smart, switched on, and playing to her strengths, that's how! As mentioned above Nicola's voice is nothing of real note- having a light, soft, floaty timbre with a warm colouring that's average at best. Qualities that allow it to blend well in a group situation, but were always going to be difficult to sell a whole song on. 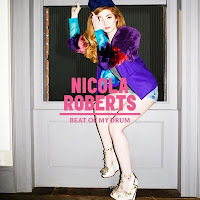 However, if Beat of my Drum is a sign of things to come, Nicola seems to be aware of her own voice and its limitations, and has taken the smart move of switching up her vocal style. Now opting for a talk singing delivery- favoured by the likes of Uffie and Ke$ha- to ride the real star of the show, the song's Diplo production. The jaunty electro noises that make up the song are exciting and frenetically ever changing, whereas the switching drum patterns that litter and drive the song are intoxicatingly addictive. But Diplo's magic isn't just restricted to the backing track and also extended to tampering with Nicola's vocal track; manipulating and stuttering it so that voice and track actually begin to blur into one entity of heavenly noise! If the production alone doesn't draw a listener in then the insanely catchy cheerleader chant of "l-o-v-e" in the chorus will. You have been warned! 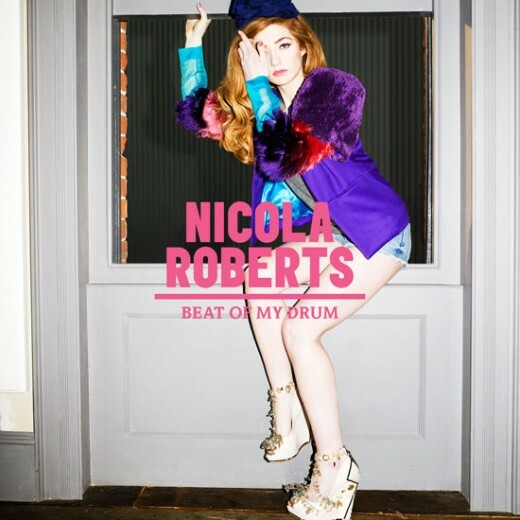 Beat of My drum is a sure fire winner that is going to be stuck in people's heads for months to come.Move over Cheryl Tweedy, Nicole Roberts is looking to be the surprise star of Girls Aloud. Needless to say, very excited about the upcoming album. I, and most people, find that Nicola Roberts has one of the strongest voices of Girls Aloud, second only to Nadine Coyle. In live performances her voice is very strong. Would love to know what her vocal range is. Her album, Cinderella's Eyes was incredible and her live performances of her singles were just breathtaking! If you watch youtube clips of the members of Girls Aloud on Popstars: The Rivals its clear Nicola actually has one of the strongest voices in the group. She just doesn't appeal to everyone the same way Cheryl does. Shes also one of the best dancers in the group behind Cheryl Cole.